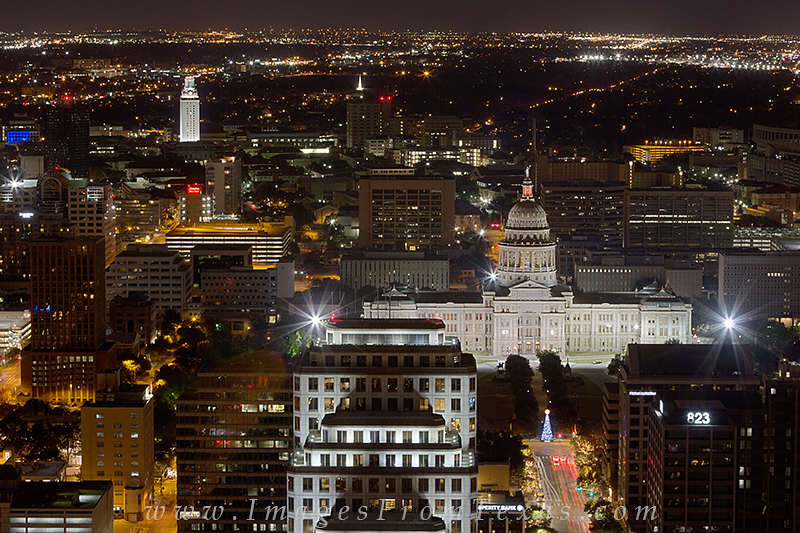 Looking down Congress Avenue at the state capitol in Austin, Texas, you'll see the 308 foot structure with a Christmas tree adorning the front lawn. This images was captured from the Austonian just before Christmas day. Photo © copyright by Rob Greebon.